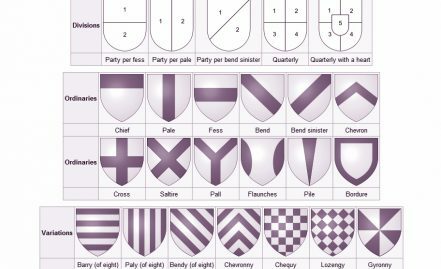 In heraldry there is so many parts and pieces to learn about and in this write-up I wanted to talk about the Coat of Arms parts and the Shield, which is the main part of the Coat of Arms. The Coat of Arms was designed and made in the 1980's. It is shown here as an example of heraldry with terms.